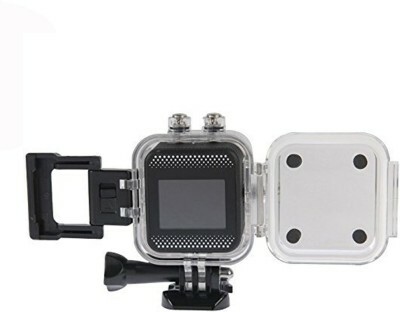 Get great discount on Sjcam M10 Wifi Mini Cube Cam-1.5 Inch Ultra HD Display Waterproof 12MP 1080p Camcorder-Car Dash 170 Degree HD wide-angle lens Sports & Action Camera | Online India shopping best deals, discount,coupons,Free offers. Sjcam M10 Wifi Mini Cube Cam-1.5 Inch Ultra HD Display Waterproof 12MP 1080p Camcorder-Car Dash 170 Degree HD wide-angle lens Sports & Action Camera.The product Sjcam M10 Wifi Mini Cube Cam-1.5 Inch Ultra HD Display Waterproof 12MP 1080p Camcorder-Car Dash 170 Degree HD wide-angle lens Sports & Action Camera is from the famous brand Sjcam. The product is currently available with the amazing discount from FlipKart.Currently a discount of 40.0% available for this product. Great discount for this product which has the original price of Rs.14999.0 and you get these amazing products for a discounted price of Rs.8999.0. Hurry up. Stock may be limited.